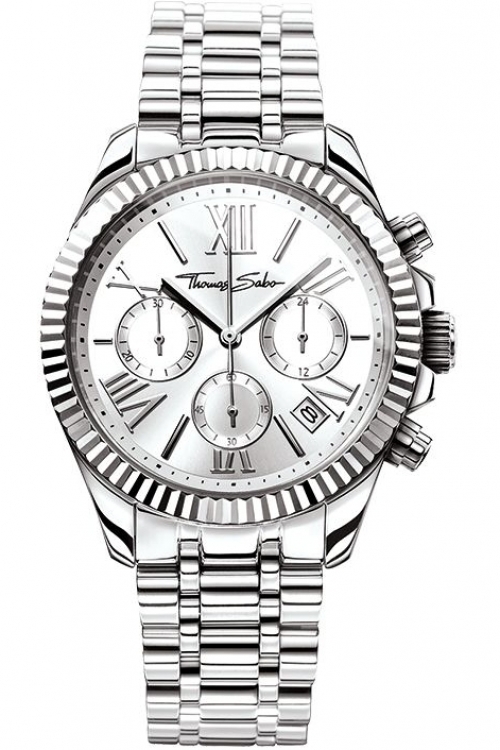 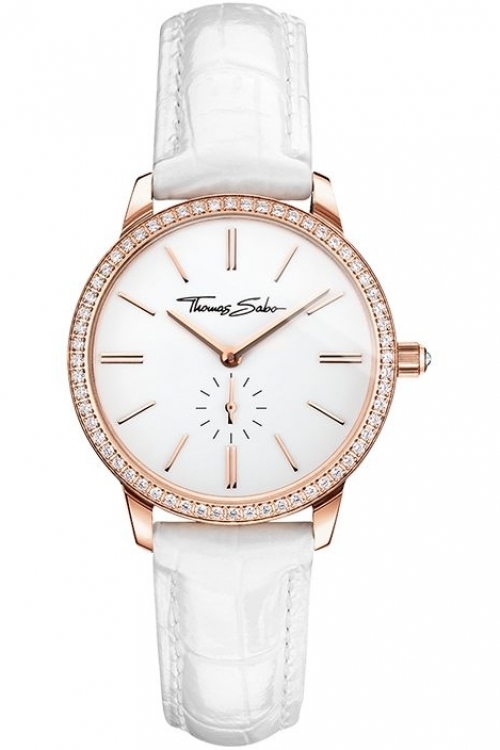 This ladies Thomas Sabo Century watch has a PVD rose plating case and is powered by a quartz movement. 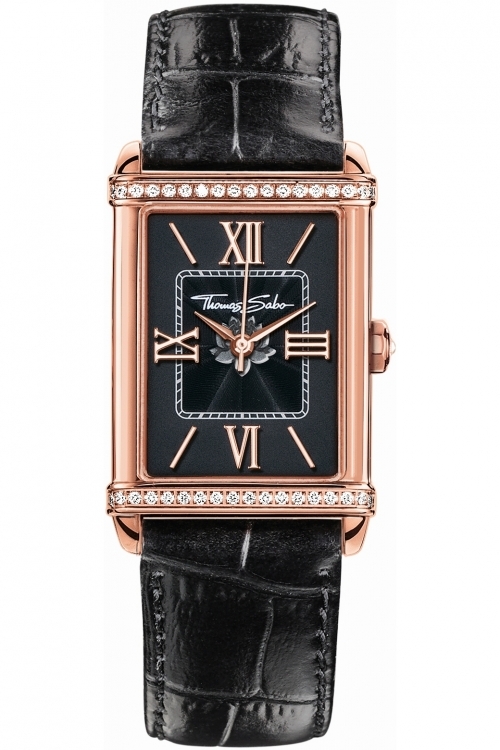 It is fastened with a black leather strap and has a black dial. 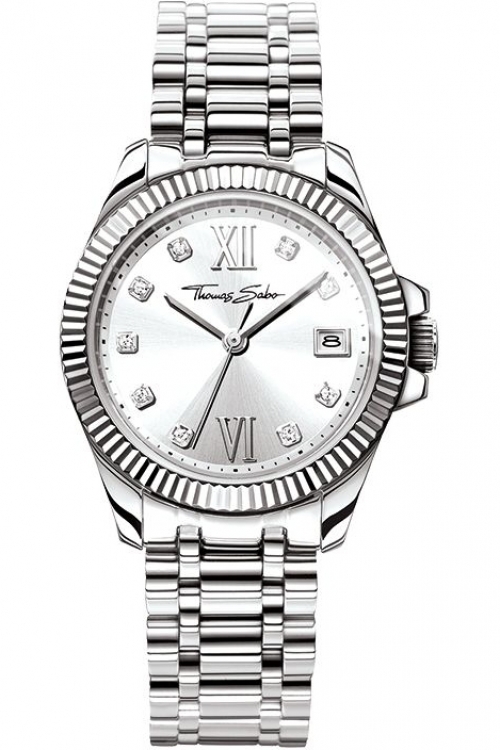 This stunning ladies Thomas Sabo Eternal Rebel watch is made from PVD rose plating and is powered by a quartz movement. 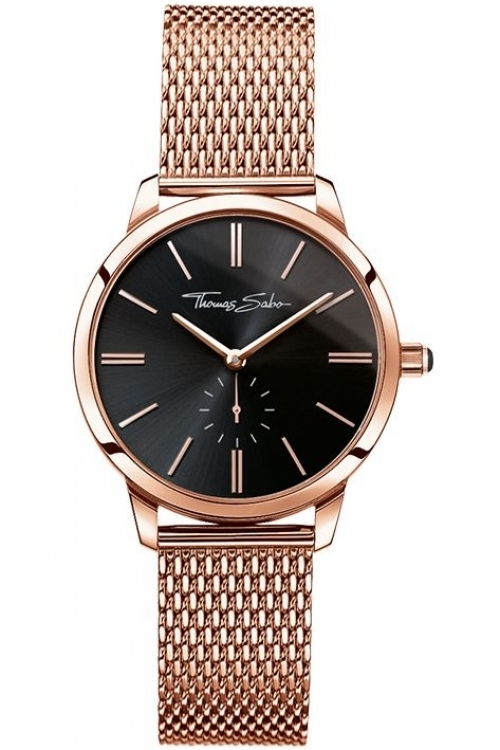 It is fastened with a rose metal bracelet and has a black dial.